I always write about the items in our life that relate to either us a whole family or items that D loves. I thought I would change it up a bit and write about something that I like. So I like Busy Bee Candles Magik Beans.Actually scrap that I love them! I love smelly candles and sprays which was what prompted me to buy some Busy Bee Candles Magik Beans about a year ago. I stood in the shop for ages smelling each scent before I could make a decision as to what one I actually wanted. I am now a regular customer of that shop, I go in most weeks and always come out with either a new scent or another tub of a favourite one. I had seen the Busy Bee Candles on Facebook before that and read into their melts and candles. I was intrigued by the fact that their products are made of soy wax. Which of course led me to have a look into all the differences of waxes used in candle making. I found a pretty great amount of information on soy wax. Soy wax is completely natural and made from soya beans as opposed to paraffin wax which contains chemicals. Did you know that paraffin wax produces harmful toxins or carcinogens when burned? The same types of harmful toxins and carcinogens in fact that come from cars. I was a bit more than shocked at the discovery of this information. I have used candles for years and I'm sure many of us have. I have candles lit when D is in the room. I hadn't really thought about how harmful it could be. 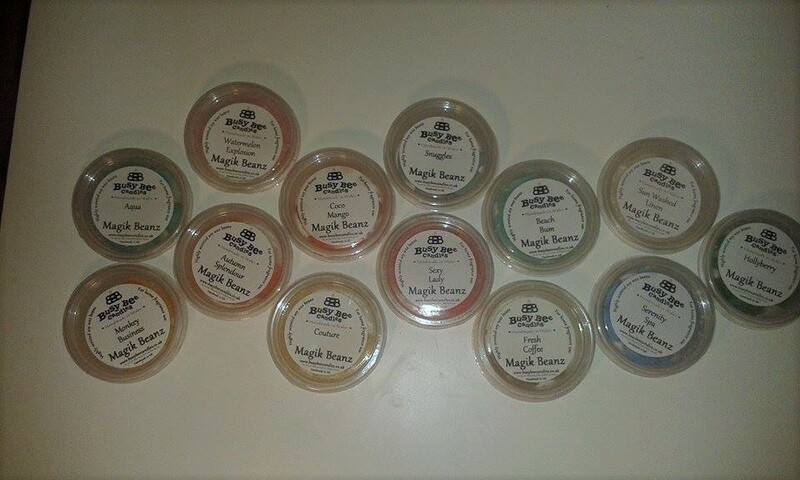 Back to Busy Bee Candles Magik Beans, I pretty much fell in love with these wax melts the first time I tried them. They smell good inside the pots they come in and the smell is pretty strong. I do tend to look for stronger smells in candles as I can notice the smell for longer. Plus I have found that the Magic Beans retain their smell for much longer than other candles or melts I have used. As you can imagine I have started to grow a collection of the melts which you see above. I have some favourite scents but I most enjoy having a wide variety to choose from depending on my mood. I love having different smells throughout the day. One of my favourite smells is coffee which I enjoy in the morning. I'm a big fan of any coffee like smells and I love that Busy Bee Candles Magik Beans smells just like freshly brewed coffee. Another of my favourite smells is sun washed linen. Who doesn't look the smell of freshly washed clothes? It's just so fresh and clean! I love that they come in small beans. I always find that with other melts or tarts I never seen to break the wax in the perfect amounts or sizes. I don't have 5+ minutes to sit waiting for the wax to melt enough. 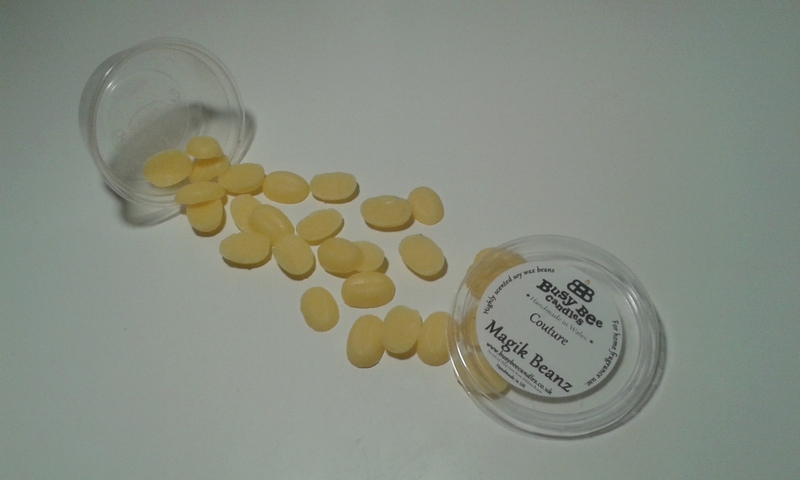 The Magik Beans are perfect for having a small amount of wax and adding as much as you need. One of the Magik Beans doesn't raise the wax level too much so you can easily adjust or add to the burner. Which means you can top it up at any time you feel it may need a boost. 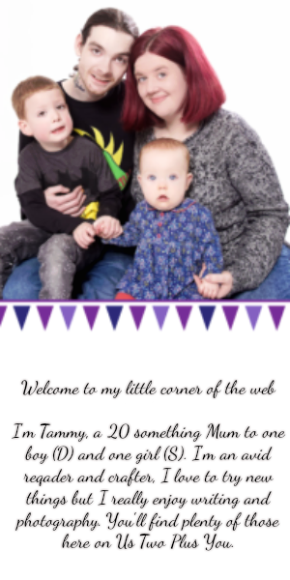 There you have it all my thoughts on Magik Beans by Busy Bee Candles. If like me you love having smelly candles around the house then you simply must try Busy Bee Candles Magic Beans. They are great value at £1.89 on their site which you can access by clicking on the link above. Have you tried Busy Bee Candles before?